Arab world blasts Trump's announcement on recognition of Jerusalem as Israel's capital. The Arab world blasted U.S. President Donald Trump on Wednesday, after his announcement that the U.S. recognizes Jerusalem as Israel’s capital. Iran strongly condemned the decision, saying it threatened a "new intifada", or uprising against Israel. 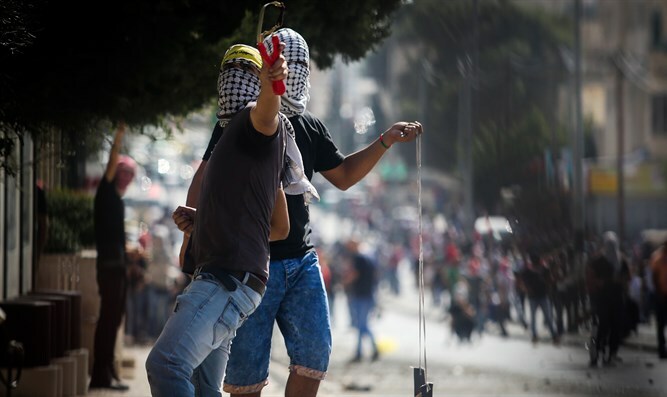 "The provocative and unwise decision by the U.S.... will provoke Muslims and inflame a new intifada and an escalation of radical, angry and violent behavior," said the Iranian foreign ministry in a statement on its website, according to AFP. "Iran strongly condemns this move and urges the international community, influential countries and especially Islamic countries to prevent the implementation of this US action, which is only of benefit to the Zionist regime, to preserve the stability of the region," said the statement. Syria dismissed Trump’s move as well, with President Bashar Al-Assad saying in a statement it would not dim the "Palestinian cause". "The future of Jerusalem is not set by a state or a president, but by its history, will, and the determination of those loyal to the Palestinian cause which will stay alive in the conscience of the Arab homeland until the establishment of a Palestinian state with Jerusalem as its capital," the statement said. Lebanon's Prime Minister Saad Hariri vowed his country's "highest degrees of solidarity with the Palestinian people and its right to establish an independent state with Jerusalem as its capital". "The American decision to recognize Jerusalem as the capital of Israel and to move the embassy there is a step that is rejected by the Arab world and risks spilling dangers over into the region," he said. Jordan condemned Trump's recognition of Jerusalem as amounting to a violation of international law and the UN charter. "The decision of the American president to recognize Jerusalem as Israel's capital and the transfer of the US embassy to this city constitutes a violation of decisions of international law and the United Nations charter," said government spokesman Mohammed Momani. As expected, the Palestine Liberation Organization (PLO) blasted Trump’s move as well, with its secretary-general Saeb Erekat saying it destroys any hopes for a two-state solution to the Arab-Israeli conflict. The Hamas terrorist organization also condemned Trump's decision and said that the move "open the gates of hell" on U.S. interests in the region. "This decision will open the gates of hell on US interests in the region," said Hamas official Ismail Radwan after Trump's announcement. He called on Arab and Islamic states to "cut off economic and political ties with the U.S. embassy and expel American ambassadors to cripple" Trump's decision.